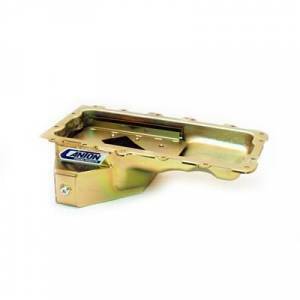 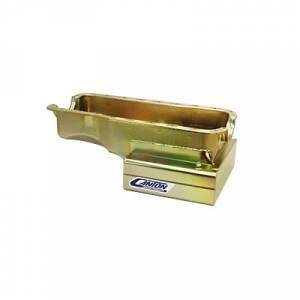 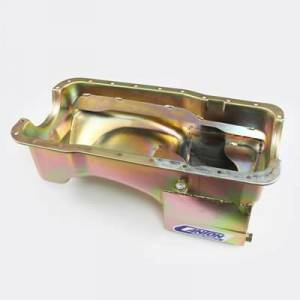 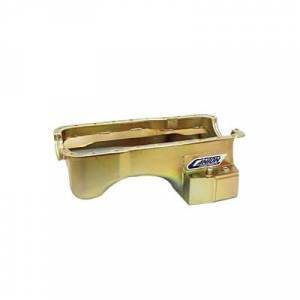 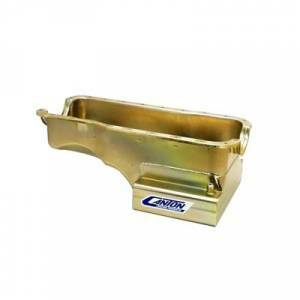 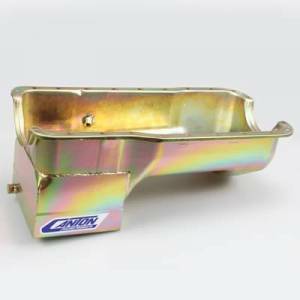 Description: This deep sump oil pan is for Ford 289-302 blocks in Fox Body Mustangs. 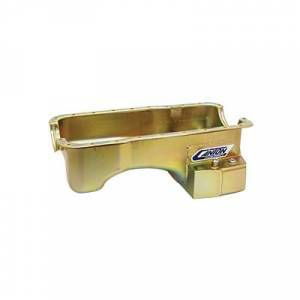 It has a 9" deep by 7" long sump and a 7 quart system capacity. 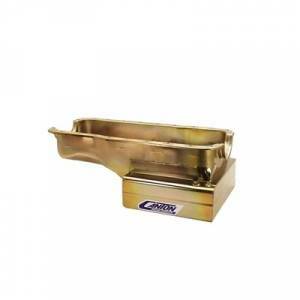 This pan requires one of our pickups. 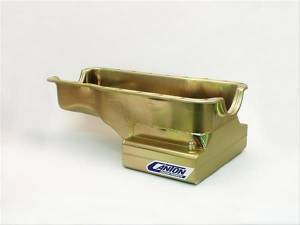 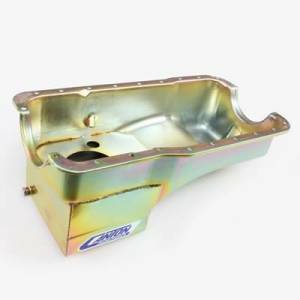 Description: This front sump Ford 289-302 road race pan fits in most front sump production chassis except Mustang II, Mavericks and Comets which may require modification. 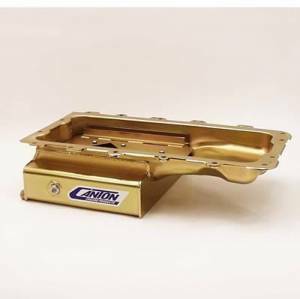 It has an 8" deep by 13-1/2" wide sump.